Randall M. Hasson brings a unique perspective to the Art world. His use of calligraphy combined with illustration creates a feast for the eyes and a depth of composition that can take the viewer to multiple levels of interpretation. The written word in text form is used in his paintings to create impact visually and emotionally, while inviting the viewer to “discover” elements over time that are not readily discernible at first glance. These paintings “inspire conversation” according to Randall’s collectors. Symbolism is very important to me and to this end, the research of the text in combination with the illustrations and the overall composition play a vital role in my work. I want my paintings to have different levels for the viewer to experience, from visual to conceptual, so that one can continually discover new elements as time passes. The artwork of this artist always leans toward the inspirational, whether it be religious in nature (Family Blessings, Inviting the Presence, Whisperings, Come to the Waters, Forever), spiritual and business principles (Providence), advice and encouragement from artists about Art (L’Esprit, Music Begins, Advice To Letterers), profoundly moving poetry (Repentance, I Remember, Silent Witness and The Baron Journals), or simply motivational (Man in the Arena, To Know His Thoughts, First Light, Triumph, Exhortation). The lettering in these paintings is done by hand directly with traditional and non-traditional calligraphic tools. Broad edged nibs, bent nibs, bamboo and reed pens, brushes as well as pens made from such objects as aluminum cans are all used to create letters of varying style and contrast. Traditional painting methods are also employed in the form of under-painting, layering, and glazing, creating depth in composition and color. Media is mainly acrylic paint and acrylic ink on canvas for the complex works involving calligraphy, and oil painting for portraits. Randall studied art briefly in college before going into the business world as a sales representative for the insurance industry. After 12 years away from art, he was formally trained as a Calligrapher, and eventually returned to school to obtain a Bachelors in Fine Art. He has appeared on the faculty of sixteen International Lettering Arts conferences as a lecturer and teacher. The C.S. Lewis Foundation invited him to Oxford, England to speak about his painting during their Oxbridge conference. He has served as juror for art shows such as the 2009 five-state competition Texas and Neighbors and the Albuquerque State Fair. His most recent projects have included writing and co-editing the 24th (Centennial) Edition of The Speedball Textbook. 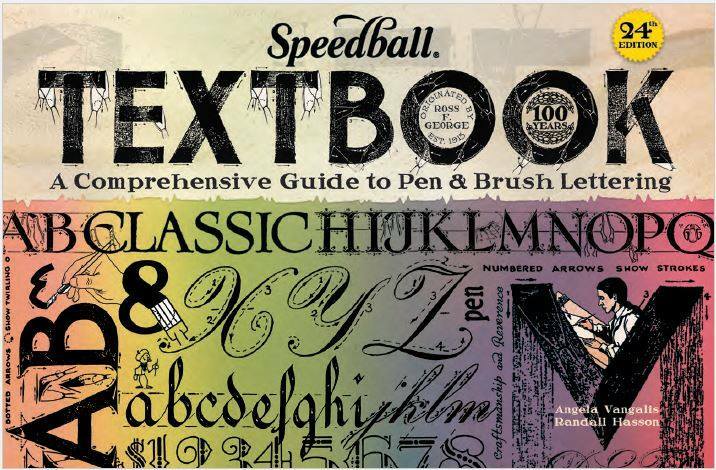 That project led to finding the archives of Ross F. George, inventor of the Speedball Pen, and the authorship of his first solo-project Teaching America How to Letter: William Gordon, Ross George, and the Story of the Speedball Textbook, due to be published by the Letterform Archive in 2018.